Are you a qualified IBDP Arabic Language and LiteratureTeacher? Would like to teach in Oman and Experience life in the Middle East? Alruwad International School delivers the IB PYP and IB MYP, and IBDP programs as well as the Ministry of Education program for Arabic, Islamic Studies and Social Studies in Muscat, Oman. AIS ensures the curriculum drives stimulation, creativity and strong leadership ship skills amongst the students to thrive academically and personally. 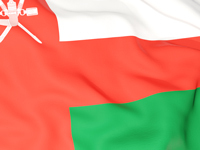 The school is currently seeking a strong IBDP Arabic Language and Literature teacher to teach in their school in Oman. This is a fantastic opportunity to expand your career in teaching internationally and network with other educators from around the world while experiencing a motivating life abroad. **APPLY NOW – Limited Spaces Only! !